Luke Jackson has not been short of plaudits in his short career and having now witnessed him and his trusty guitars for a an hour and half, the jigsaw puzzle of praise reveals a talent raw, rare and rapidly racing ahead of time. It may be a reluctant cliché but this is clearly an extremely experienced head on such young shoulders with the winners being an audience hooked by the mesmeric charm of his songs, persona and guitar playing. Respected sources are potentially anointing Luke as the next big thing in British folk but sometimes it’s wise to remain in the present and enjoy the moment. Midlands based promoters Bright Side Music were rewarded for the foresight to book Luke by a near sell out turnout in the studio venue of Bromsgrove’s Artrix Arts Centre and those who elected to spend their Saturday evening supporting live music had the joy of some splendid entertainment. With two albums under his belt and some new songs to share, Luke is not short of material and only throws in the odd cover to add flavour to a show by sharing his inspiration. ‘Beeswing’ by Richard Thompson allows Luke to indulge in a little folk rock and marry up his guitar playing skills with eloquent storytelling, while ‘Man of Constant Sorrow’ tantalises us with a dose of Americana. While this Canterbury based young man is forging a very English path in style, there are forays into the world of gospel and blues leaving a thought of what could emerge if Luke ever took a trip down the Delta. The vocals ride the emotion of each song, whether requiring impetus or retraction, and the guitar playing exudes the mood of the sentiment. Confidence flowers in the storytelling and the poise to shake off a broken string, although it’s always handy to have a part time techie named Doug in the audience ready to give a hand. Perhaps at this stage of his career it is the song writing that’s creating waves for Luke and paving the way for opportunities such as a recent 30 date tour supporting Martin Joseph. 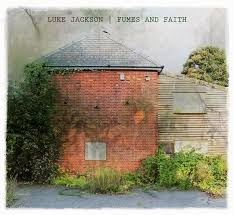 Many of these enlightening songs have surfaced on Luke’s two releases to date with an unsurprising slight bias in this set to the latest one FUMES AND FAITH. ‘Answers Have Gone’, ‘Father and Son’, ‘Sister’ and ‘Charlie in the Big World’ all excelled from this 2014 album while the title track from 2012’s MORE THAN BOYS took the honours from his back catalogue. ‘Heart of Stone’ was one new track previewed and the future sounded very promising indeed. 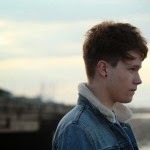 For me, appreciation of Luke Jackson took off after a set in the club tent at this summer’s Cambridge Folk Festival, although praise had been building for a while especially in the guise of a BBC Radio 2 Young Folk nomination in 2013. An abiding memory of Luke enticing the audience to sing along to a chorus of ‘She holds him close’ in his finale number was replicated at the end of this gig taking crowd participation outside of its comfort zone and encouraging folks to stretch their vocal chords. This crowned a night of class, quality and burgeoning talent. The bandwagon of Luke Jackson is freely available to be joined at anytime, whatever your persuasion, style or preference of roots music. This young guy will seriously impress anybody who opts along for the ride.